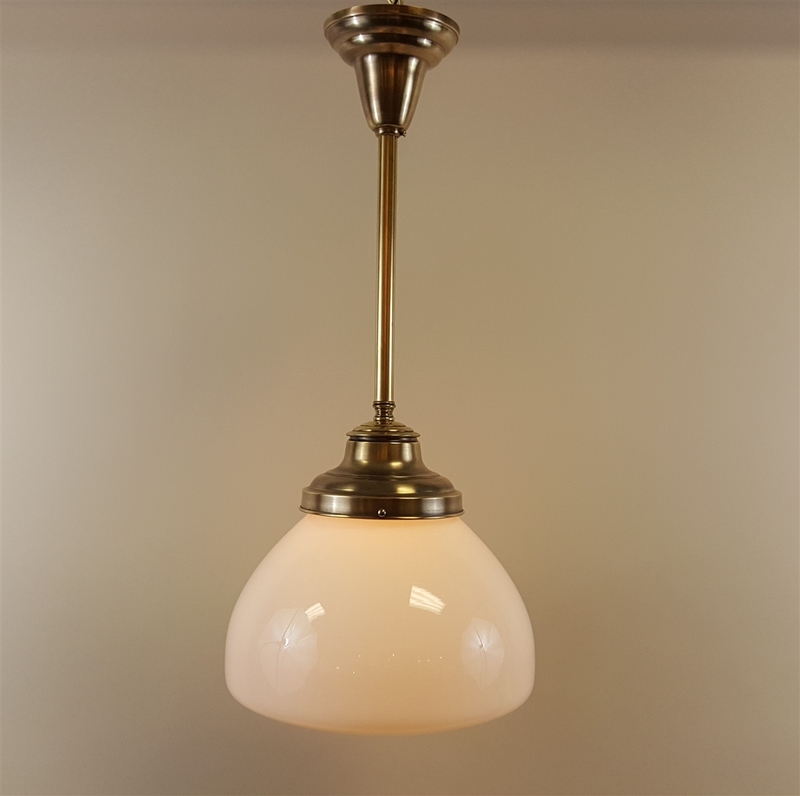 This light features a vintage white school house globe hanging on reproduction brass pole hardware. It is shown in light patina; other patina options are available. Dimensions: The glass is 11 1/2" wide and the light is shown with a 26" drop. 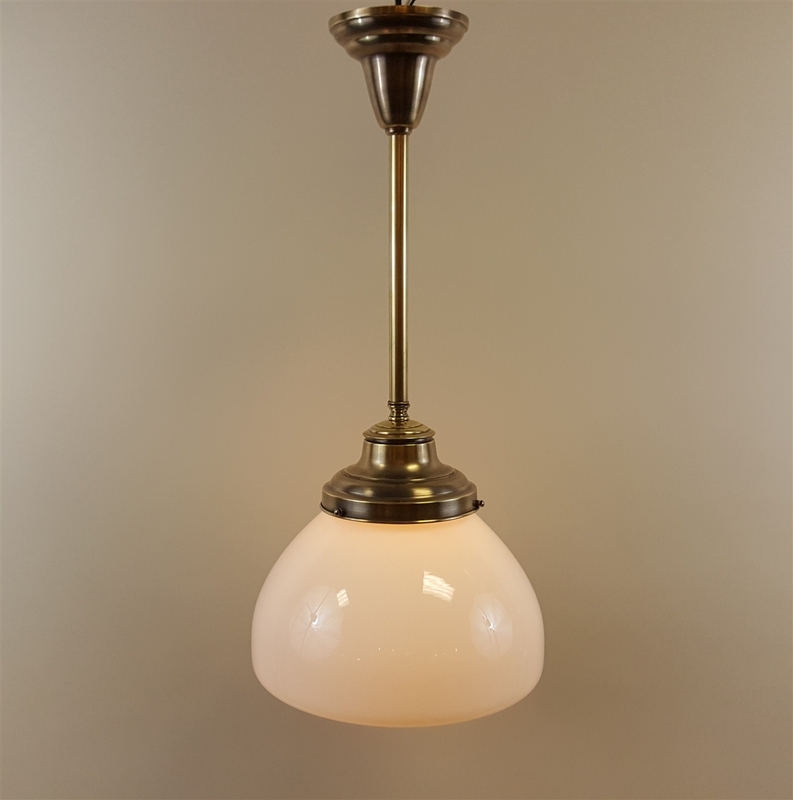 The drop height of this fixture can be shortened to 18" or lengthened to 59" at no additional charge. For drops longer than 59" please give us a call. Electrical: This fixture takes 1 Edison (e26) based bulb, max watts 60. It can be made with 2 Edison (e26) based bulbs, max watts 60 for each socket. This fixture has been rewired and tested inhouse.